We know that parents like to feel involved in their children’s education. 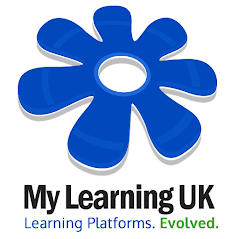 Helping them with homework and being able to monitor their progress in an easy and accessible way using an online platform or Parent Portal, such as Fusion VLE from My Learning, is a great way of keeping parents up to date. As parents, we know how easy it is to miss information sent home from school as letters get lost in the bottom of bags or homework tasks are not written down in planners. For students, in an increasingly digital world, being able to view, complete and submit homework online makes life much easier and can increase productivity. Here are the top 10 things that make our Fusion VLE online homework tool perfect for students and parents. The Homework dashboard panel on the student home screen provides a clear list of all homework due at any time. Students can access the homework tasks directly from this panel. The Parent Portal provides parents with a clear list of all homework assignments due to be submitted by their child. Students will see any new homework assignments clearly highlighted in the Homework dashboard panel on their home screen. In the Parent Portal, any newly set homework will be highlighted on the home screen so it is immediately visible to parents. Parents can access the individual homework tasks directly from this screen. Deadlines and due dates for homework submissions will appear in the Student Calendar, which can be viewed on the home screen via the dashboard panel. Parents can also view their child’s calendar to see when homework needs to be submitted. When new homework has been set both students and parents will receive a notification to inform them. Notifications will also be triggered when a teacher has marked the student’s work and/or provided feedback. Students and parents can follow the link in the notifications for direct access. Teachers are able to mark work and provide feedback comments online, allowing students and parents to view these at any time on any device. This provides a permanent record of the marks/feedback that can be referred to. Students are able to act upon feedback from their teacher and re-work/re-submit assignments with amendments and improvements made. Re-submissions are saved as a new file alongside the original submission, allowing for easy monitoring of progress. Completed homework submissions can be sent to the student’s workbook (e-portfolio) to be collated as evidence along with any other files they have created or submitted. Students and parents can then view their grades for each piece of work in the Grading Centre. Parents, via the Parent Portal, are able to track their child’s progress on each piece of homework, including being able to view submissions and re-submissions made. In the Parent Portal, parents can view the homework description and resources in the same way their child can. This allows them to provide support for their child as necessary, with access to all the given information and resources. Parents are able to see the grades and feedback given by teachers. They can view the progress their child is making and directly access the feedback comments provided by the teacher, so as to be able to further support their child as necessary. Got Office 365 For Your School?